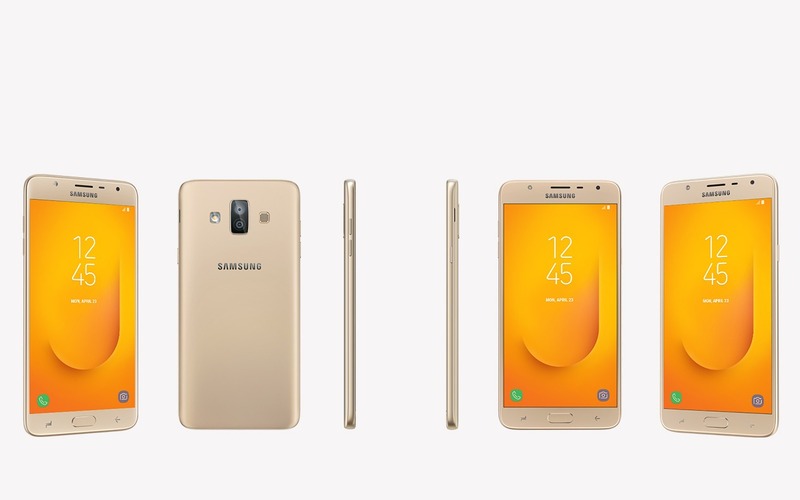 Samsung has officially launched a new J-series smartphone in India, the Samsung Galaxy J7 Duo. The phone leaked yesterday with the full spec sheet and the official press renders revealed the design. Since the phone is now official, here is everything you want to know about the Galaxy J7 Duo. The major highlight of the J7 Duo is that dual camera setup on the rear, and except that, there is nothing new as the phone has the old Exynos 7870 processor, an HD Super AMOLED display, etc. Talking about the design of the J7 Duo, you won’t find any difference from the front as the design is the same as all the other J series smartphones. There is a physical home button which also works as the fingerprint scanner. Two touch capacitive buttons are present on both sides of the home button. On the top, the earpiece is present along with the front camera, LED flash and the sensors. Things change a bit on the rear as the Samsung Galaxy J7 Duo has a dual camera setup. The speaker is placed on the right of the camera setup while the LED flash to the left. The phone has a removable back cover, and so is the battery underneath it. Coming to the specifications, the Galaxy J7 Duo has a 5.5-inch Super AMOLED HD (1280×720) display with 16:9 aspect ratio. Under the hood, there is the octa-core 1.6GHz Exynos 7870 processor with 4GB RAM and 32GB ROM, which can be expanded up to 256GB via external SD card. Android Oreo runs out of the box with Samsung Experience UI on top. A 3,000mAh removable battery is also present. Now talking about the main highlight of the device, there is a dual camera setup on the rear. There is a primary 13MP f/1.9 camera and secondary 5MP f/1.9 camera on the rear. On the front, there is an 8MP camera with the same f/1.9 aperture. The rear camera setup includes features like Live Focus which lets the user adjust the blur before as well as after he clicks the image and Background blur shape which lets the user add custom effect to the blurred background. The Galaxy J7 Duo also comes with face unlock feature. With Galaxy J7 Duo, we are attempting to drive next level innovation in the J series that rules the hearts of Indian consumers. The introduction of a dual camera in Galaxy J shows that we listen to our consumers and bring meaningful innovations that help enhance their lives. The superior specifications along with other innovative camera features in Galaxy J7 Duo will further consolidate our leadership position. 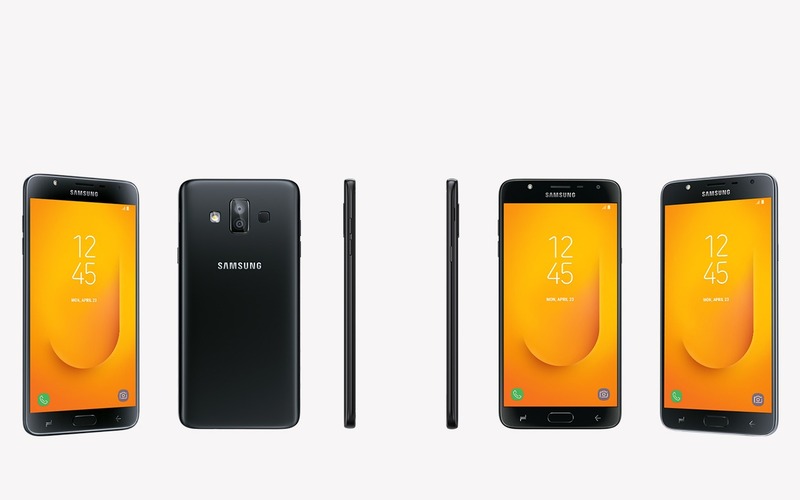 Finally, talking about the pricing for the Indian market, the Samsung Galaxy J7 Duo is priced at Rs 16,999 and is not in stock at the moment.